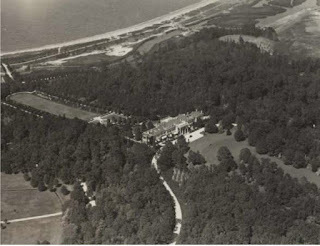 An aerial of 'Meudon', the William D. Guthrie estate designed by C.P.H. Gilbert c. 1900 in Lattingtown. Click HERE for more on 'Meudon' (be sure to scroll down). Photo from the Aiglon Archives. I liked the original so much better. With the addition, the mansion lost much of it's charm. 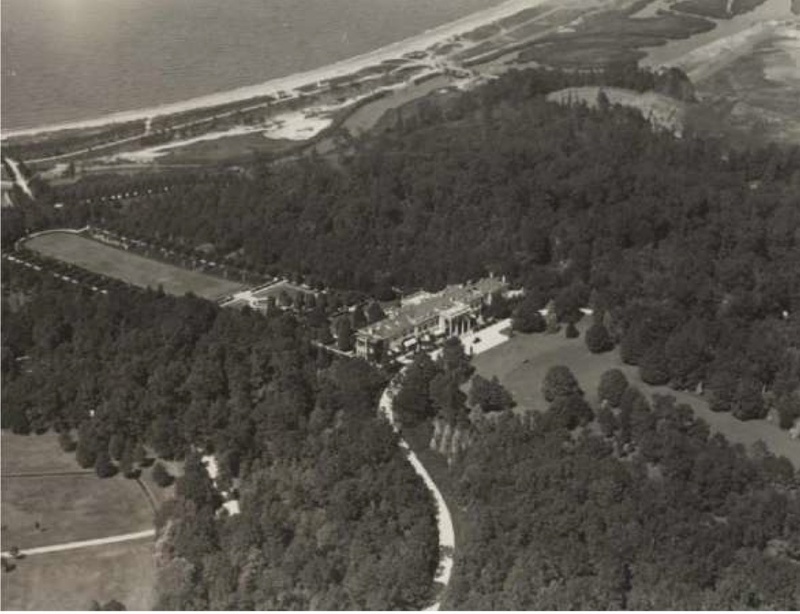 In agreement that the earlier, smaller Meudon was more appealing than the hyper elongated version. Who could possibly occupy all those rooms? On Bing the stables appear to still be going strong today. Will we ever get a floorplan?